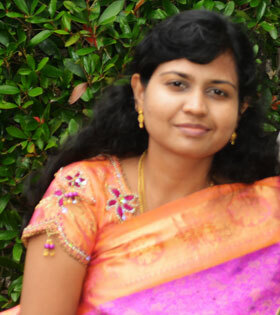 Mushroom is my favorite vegetable and I am a great fan of biryani. 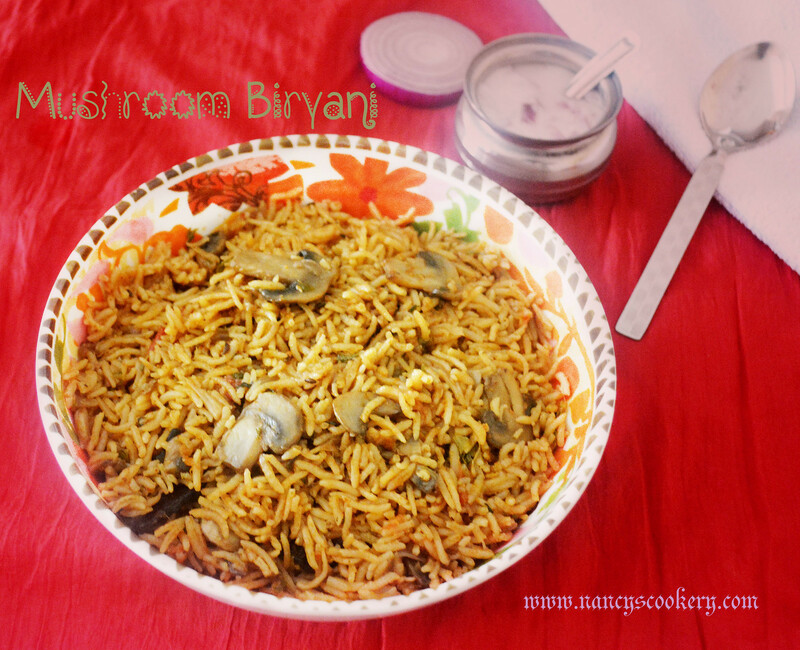 So I tried mushroom biryani few years before. 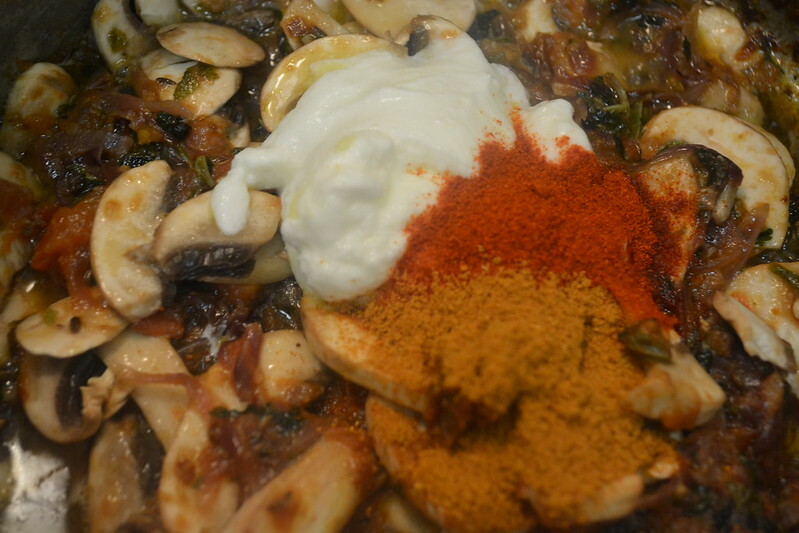 But after starting the blog now I found time to post this recipe.Mushrooms are packed with antioxidants like carrots and tomatoes and offers many health benefits. Mushrooms contain Vitamin D which is not found in any vegetable or fruit. It also boosts immune system. 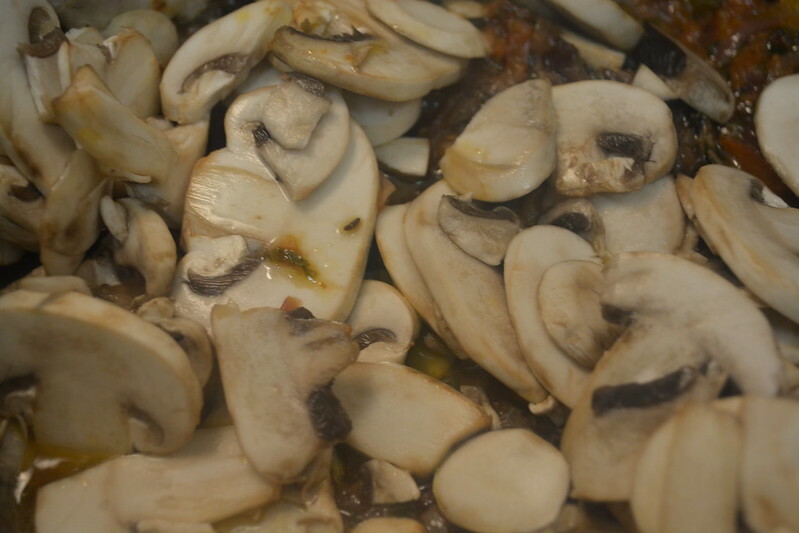 Mushrooms are good source of iron and selenium. Sources say that eating mushrooms prevents cancer. So consider eating this amazing beneficial mushroom. 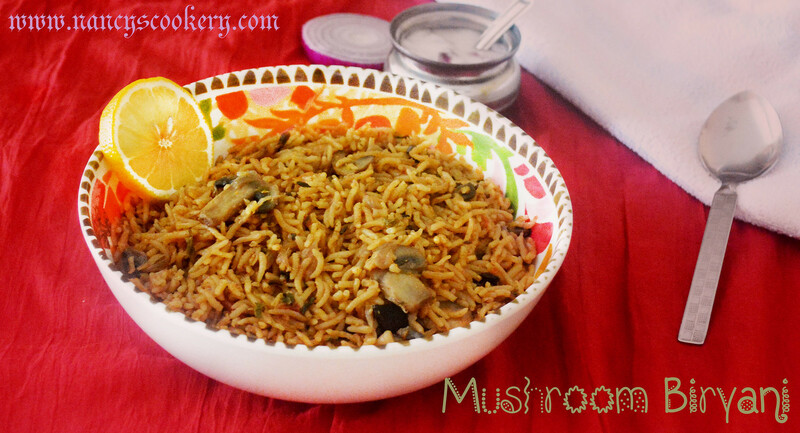 Mushroom biryani is not only healthy but also very tasty . Ghee - 1 tbsp. 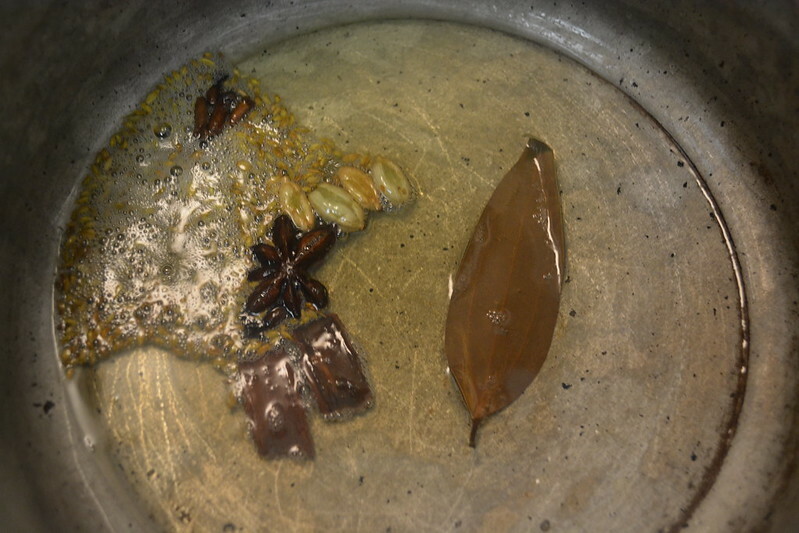 + 1 tsp. Water - 2.75 cups minus 5 tbsp. 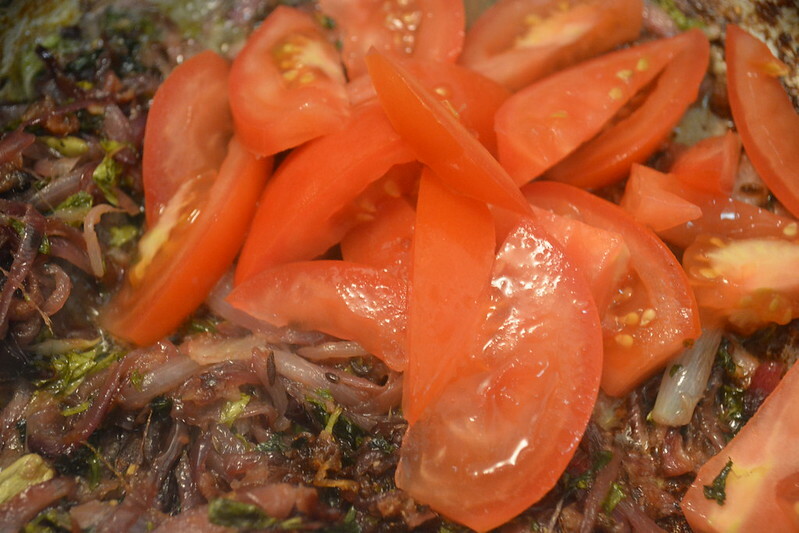 Heat oil in pan/pressure cooker. 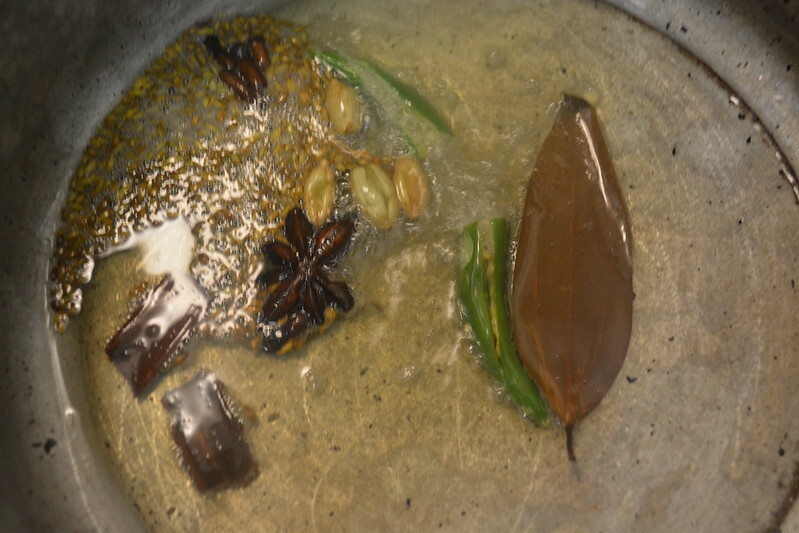 Add the whole spices in medium flame till it sends nice aroma. 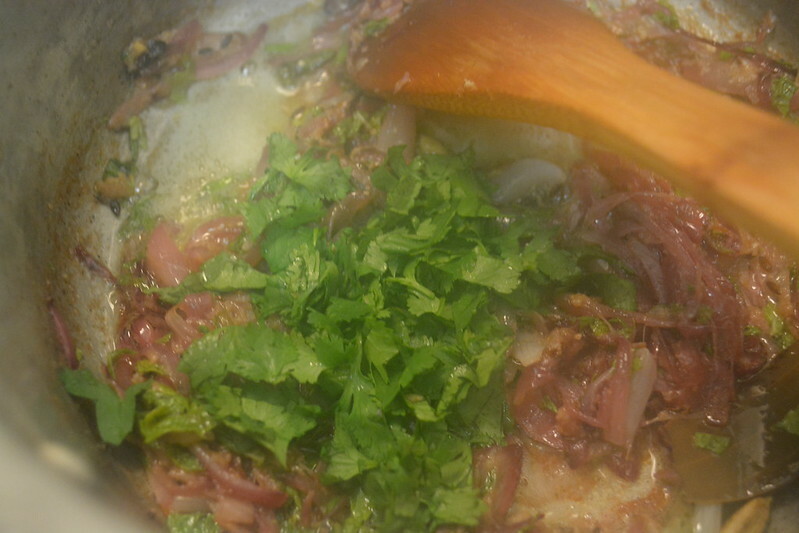 Then add green chilly and onion. 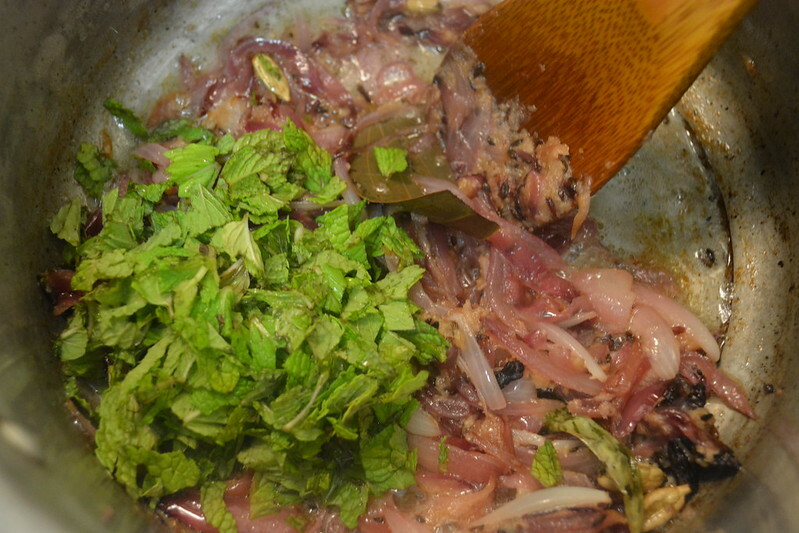 Saute it till it becomes translucent, then add ginger garlic paste.Saute it till the raw smell goes and add mint leaves and coriander leaves. 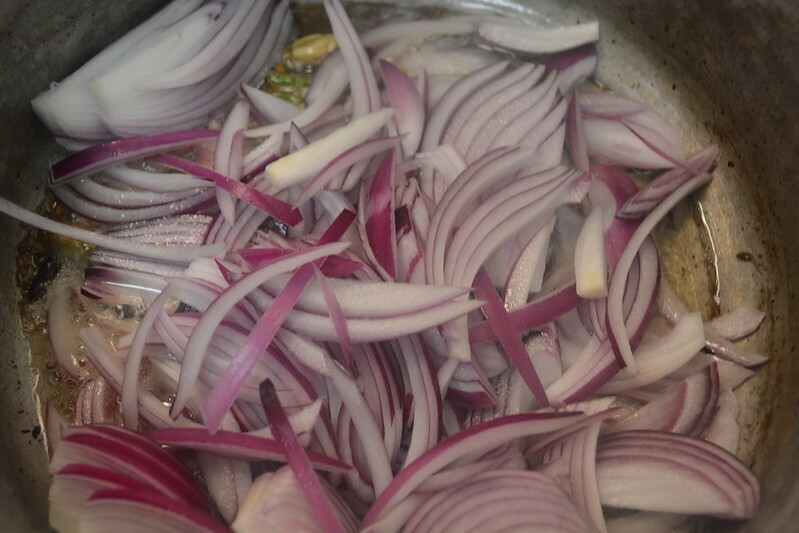 Saute them for 2 minutes.Then add tomato and saute till it's smashed/raw smell goes. 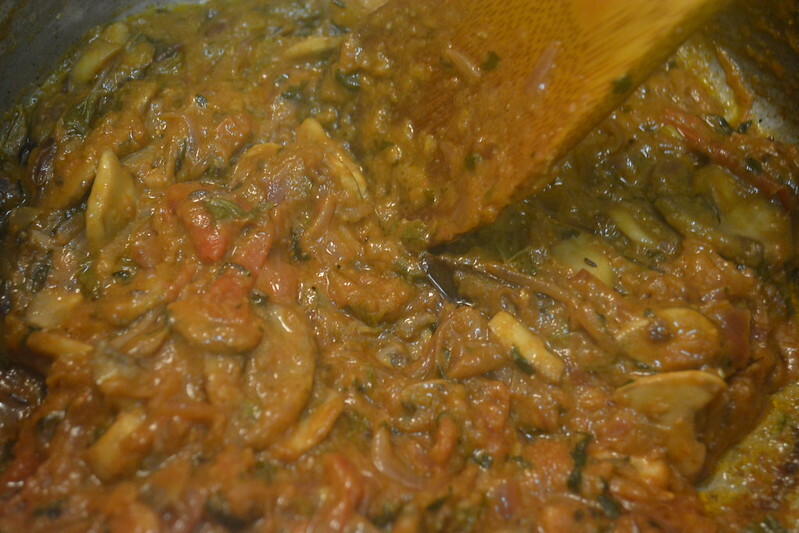 Add cleaned and cut up mushrooms, curd, chilly powder and biryani powder. 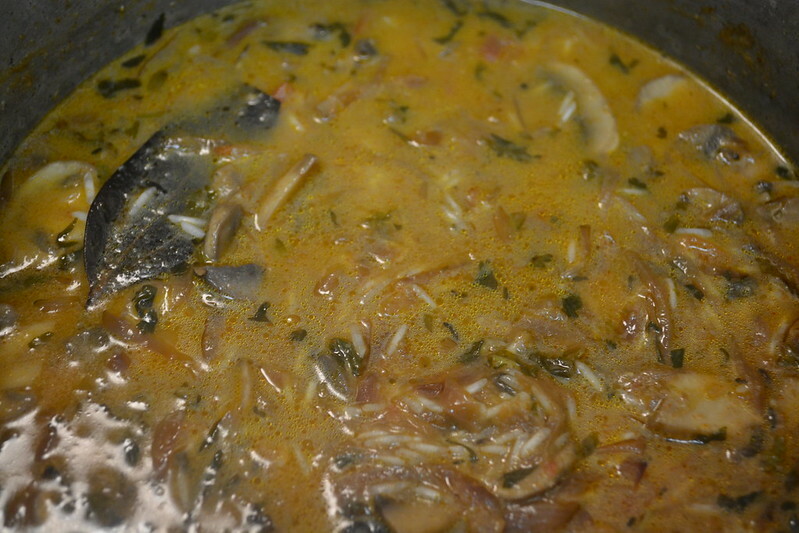 Saute this until the mushrooms are well combined with the masala and after that add rice, water and salt. Cook it for 3 whistles. After first whistle reduce the flame. 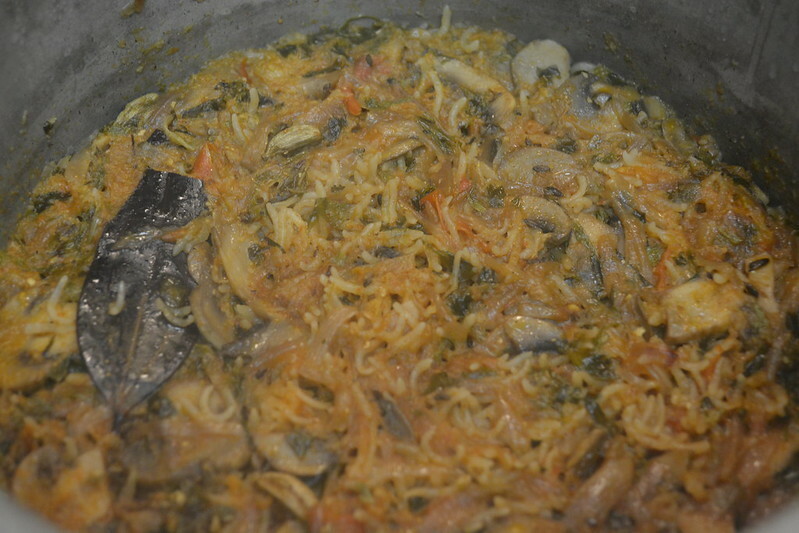 Once the pressure is released fluff it with fork gently so that the rice doesn't break. 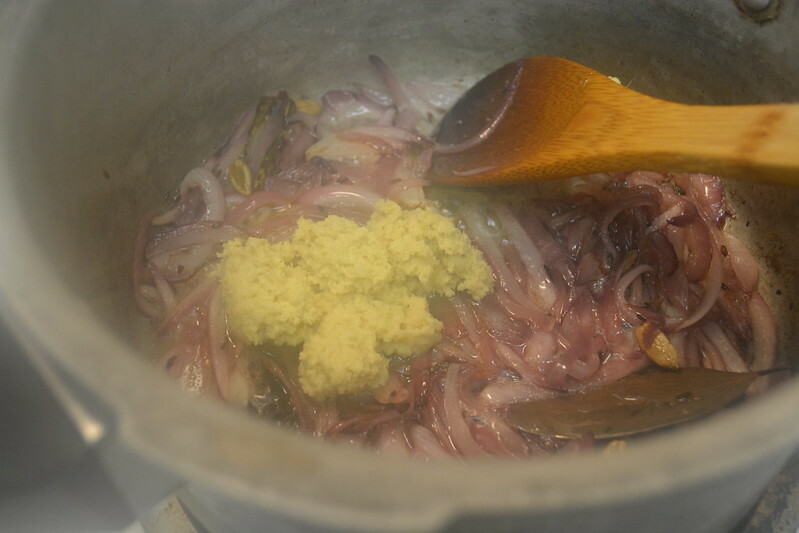 Serve hot with raita or gravy of your choice.